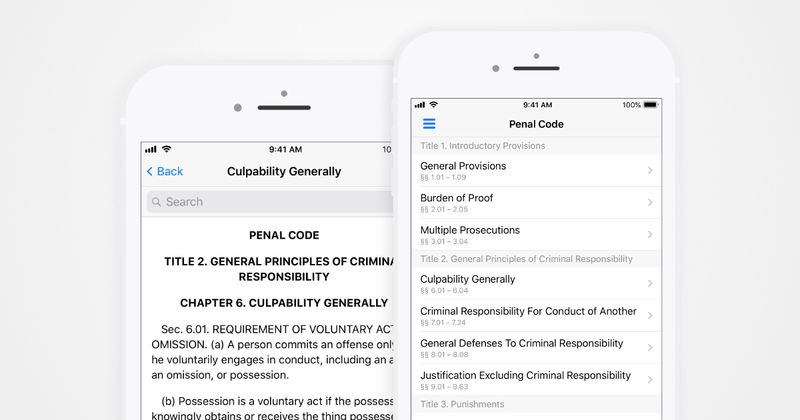 Simple, easy to use reference app for the laws and legal codes of the state of Texas. Texas Law Book is the easy to use Texas statutes reference app for Android and iOS. All statutes are bundled with the app – no subscriptions, in-app purchases, or internet connection required. Disclaimer: This app should not be cited as an official or authoritative source. Content provided by this app is for informational purposes only and the developer cannot guarantee the accuracy or completeness of the content.